Today’s 40-year-olds are full of life and energy, and this should also be reflected in their skin. Wrinkles and fine lines start to form around this age, skin elasticity slowly decreases and dryness becomes more common. This calls for an improved pampering skincare routine. Fine lines are wrinkles are formed due to a decrease in collagen and sebum production, causing increased skin dryness. Collagen production can be simulated by using cosmetics that contain Vitamins A and C. Polypeptides are also beneficial in this instance. It is essential to maintain the skin’s moisture levels by incorporating urea, glycerin, hyaluronic acid and lactates into your skincare regime. Plant oils are also helpful when it comes to supplying the skin with moisture because their structure is similar to the lipid found in the skin. Skin damage is often caused by free radicals that occur as a result of environmental influences, extensive sun exposure, nicotine or inflammatory processes. Vitamins (C and E in particular), Polyphenols and Coenzyme 10 have the ability to counteract skin damage. Which anti-aging products to use is very much dependent on how your skin ages, for instances, if you have several wrinkles use products that target this area in particular, and so on. Use cleanser and scrubs to free the skin from any and all dead skin cells. 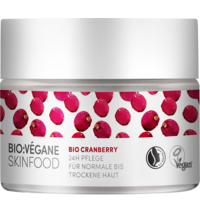 This stimulates skin renewal, prevents impurities and rejuvenates the complexion. Moisturisers used should contain hyaluronic acid, which has the property of binding water, minimising the appearance of wrinkles and smoothes the skin. Also, include a face mask into your skincare regime to add moisture and firm the skin. Day creams should be selected according to individual skin types. 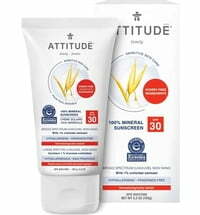 When combined with UV protection they help to prevent the skin from becoming more damaged. Night creams help to regenerate and restructure the skin, and should also be selected according to your skin type. Aside from the face, the hands age the fastest, reason being that the skin on the hands is very thin with practically no fatty tissue. A rich hand cream is recommended to supply the skin with sufficient moisture or apply a day cream with UV protection to the skin of the hands to protect it from the harmful effects of the sun. Pampering your hands at night with a regenerating night cream also does wonders for a groomed finish first thing in the morning. The more we age the less our scalp receives the nutrients it requires. If we ignore the issue, our hair becomes dull and lifeless, and hair loss increases. The strands also become thin and brittle. Use hair care products that contain keratin to help nourish your scalp for a luscious head of hair. Beautiful skin at 40 is attainable when you follow these simple tricks and use proper cosmetics matched to the requirements of your skin on a regular basis.